NetSecure was established with a mission to specialize in Network Security. 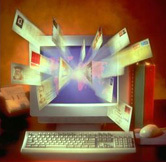 It was setup and managed by IT professionals with every facet of data communications industry. With excellent track record of successes and extensive partner network, NetSecure has been offering IT security services since 1998. As the leading independent authority in IT security, NetSecure provides a comprehensive suite of services that are focused on helping organizations effectively and continuously manage risk. With years of experience in certifying security products, combined with superior knowledge in system-related security, and in-depth intelligence gathering capabilities, NetSecure possesses the unique capability to forecast new security threats before they are launched. Many of leading companies rely on NetSecure to help them identify, correct and continuously mitigate risks to mission-critical systems and information. NetSecure's cost-effective programs generate improved ROI on security investments, and provide the assurance that organizations can confidently and safely pursue their Internet-based initiatives. NetSecure provides a comprehensive and essential baseline of effective security across an organization. Focused on proactive and preventative risk reduction, these services address hacking, viruses, insider threats, physical risks, downtime. NetSecure is committed in on time, on target, delivery of projects. We have in place an efficient project management system that will enable us to monitor closely all stages of work; from project start-up to reviewing customers' requirements, to design, development, testing and installation, until commissioning. Project Management is the key to NetSecure's successful delivery of IT projects. Our teams have a thorough conceptual understanding of technologies, top-notch communication skills, and a proven talent for managing demanding clients and development teams.